Jon Butcher became a Boston music staple, and in the early 1980s he created Jon Butcher Axis with Chris Martin (bass) and former Johanna Wild drummer Derek Blevins. Jon Butcher Axis performed throughout New England including Uncle Sam, the infamous The Rathskeller, The Paradise Theater and many others. The timing and apparent surge in popularity afforded Jon Butcher Axis’ next opportunity through Peter Wolf, lead singer of The J. Geils Band. Jon Butcher Axis was invited to tour with Boston already world famous J. Geils Band through Peter Wolf for their 1982 Freeze Frame American tour, culminating in 3 sold out night shows at The Boston Garden. It was the experience of performing in the Freeze Frame tour that led to Jon Butcher Axis first international record deal with Polygram Records. This began a recording and touring career which saw the release of Jon Butcher Axis “”Stare At the Sun””. Both of the Polygram records were produced by Robert Plant producer Pat Moran. 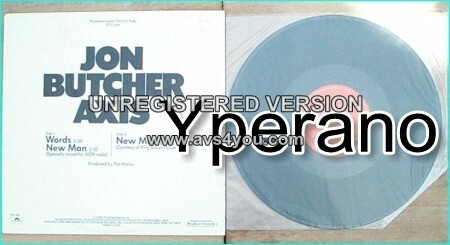 SKU: YP-8149 Categories: All Genres, AOR, Hard Rock, Pop, Rock, Search by Media Type, 12 "